Hands up, when was the last time you did a big shop? Did you stock up on plenty of frozen food as well as fresh and ambient staples? 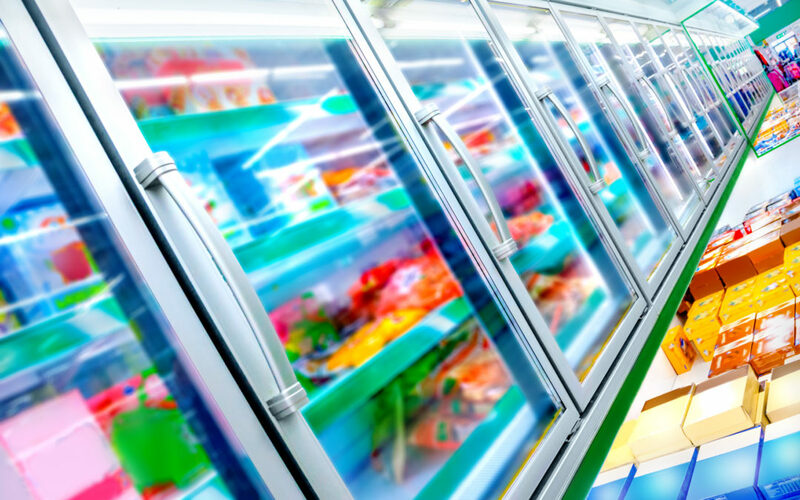 According to a recent article, frozen food is set to be the ‘coolest trend’ of 2019. And while it might not be the most glamorous of kitchen appliances, it’s come into its own during recent years. And not just for making ice cubes. With consumer lifestyles not showing any time of slowing down, frozen food sales have continued to grow. Figures from Kantar World Panel show that in December 2018 UK retail frozen food sales totalled £6.32bn, up 4.1% in sales value year-on-year. In the same time, frozen food sales outperformed both chilled and ambient, with the fastest growing categories in sales value cited as ice cream, pizza, frozen fish and potato products. John Hyman, chief executive of the British Frozen Food Federation says: “The category continues to benefit from brilliant innovation and NPD and the consumer trend of premiumisation, which shows the exciting future growth potential of the £10bn total industry sales. Frozen food is no longer seen as the poor man’s option – for emergencies only or a desperate attempt to create an at home ‘takeaway’ which never quite meets expectations. It’s become home to the frozen fruits to create nutritious morning smoothies, stores fresh vegetables complete with nutrients from source, and is often cheaper than fresh counterparts. As a recent convert to chopped frozen vegetables and herbs, I can safely say my frezzer is fully stocked with crushed garlic, chopped coriander, mushrooms, spinach, kale and onions reducing the need for fresh top ups and of course chopping. And a more recent trick, freezing leftover (hard to believe) wine to use for stock and sauces. It’s not just food emergencies, but freezers also helping to prevent food waste. According to WRAP (Waste and Resources Action Programme) in the UK, we waste 7.1 million tonnes of food and drink every single year from our homes, costing £70 every month. A survey by its Love Food Hate Waste campaign also revealed that almost 80% of people had thrown away food that was nearing its date in the past week, without realising that they could freeze it and keep it for later. With 20% of consumers not realising you can freeze eggs, milk (17%) cheese and fruit (16%). And of course the supermarkets are responding with extensive ranges to meet all of our frozen needs. It’s not just your cheap, quick and easy ready meals with questionable nutritionals and ingredients. Options include something for all tastes, be it pain au chocolat, scallops, snails, or a cook at home Greggs offering. So whether you’re looking for homemade, free-form, sweet treats, something to show-off or just a meal that will be ready in minutes – it’s probably time for you to check out the frozen aisle. Let’s be honest, with summer on the way (despite the recent snow!) it’s surely time to get on trend and sample the very best in ice cream NPD if nothing else – see you in the freezer aisle! Our consumer lifestyle PR team specialise in connecting everyday brands with everyday people across four core sectors; Consumer Lifestyle PR, Food PR, Retail PR and Sport, Health & Wellbeing PR. More information on these areas of knowledge and the work we do with instagram influencers can be found at www.escapadepr.com/about-us.